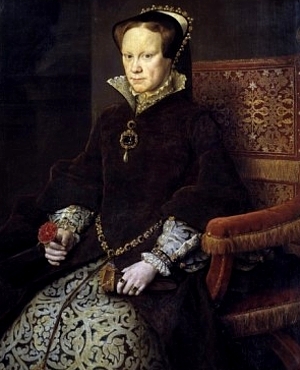 Queen Mary I was the eldest daughter of King Henry VIII and his first wife, Catherine of Aragon. Although Henry and Catherine had many children, Mary was the only child to survive infancy. Desperate to have a son to succeed him, Henry divorced Catherine, changing the religion of the land in the process, and married Anne Boleyn in 1532/3. As neither Catherine or Mary would accept the divorce or the religious changes in the land, they were both made to suffer. Mary was kept away from her mother, even when Catherine fell seriously ill, and was made to wait on her infant half-sister, Elizabeth, the King's new daughter by Anne. These years were very difficult for Mary. Not only did she miss her mother profoundly, but she was ill-treated by Anne and bullied by her father. Even though Anne was executed for supposed adultery in 1536, Mary never forgot the way Anne had treated her, and consequently always bore some degree of resentment towards her younger, gifted, Protestant half-sister, Elizabeth. As Edward, the King's much longed for son by his third wife Jane Seymour, was also Protestant, Mary was never particularly close to him either. Following her father's divorce from her mother, Mary was stripped of her title of Princess of Wales, and deprived of her place in the line of succession. 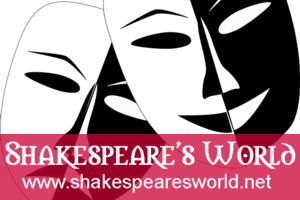 However, as Henry's wish for a brood of healthy children by a single wife never came true, and his only legitimate heir was a sickly son, he made a will before he died that placed Mary and Elizabeth in line to the throne after Edward. When Henry VIII died and Edward succeeded to the throne, Mary was thus again the direct heir. This concerned many Protestant nobles. Mary was a devoted Roman Catholic, and they were not only concerned about the restitution of the Roman Catholic Church in the country, but they were concerned about their land and wealth. Many nobles had profited greatly by the Reformation as land and goods that had once belonged to great monasteries and abbeys now belonged to them. In a desperate attempt to prevent Mary succeeding to the throne, and as a way to preserve his own hold on power, John Dudley, Duke of Northumberland, Lord Protector of England as Edward was too young to rule, devised a plot to skip Mary and Elizabeth in the line of succession and pass the throne to Lady Jane Grey, great-granddaughter of Henry VII. 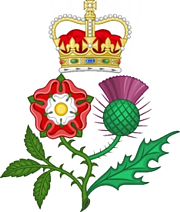 In his will, Henry VIII had overlooked the Scottish line in favour of the descendants of his younger sister, Mary, and thus Frances Grey, Lady Jane's mother, became the next in line to the throne if Mary and Elizabeth were bypassed. Frances relinquished her claim to the throne in favour of her daughter, and John Dudley arranged a marriage between Jane and his son, Guildford. 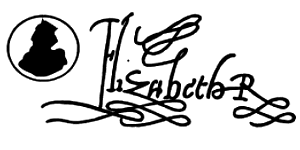 The Protector persuaded the young King to make a will eliminating Mary and Elizabeth from the succession because of illegitimacy, and consequently when Edward died in the July of 1553, Lady Jane Grey was proclaimed Queen in London.